Investing in a super gorgeous jacket is the way to go this winter. And luckily, we have an array of amazing options to choose from this season, from high street to high end, puffer to aviator, whether you want to layer up or just go full badass, we’ve got you covered. 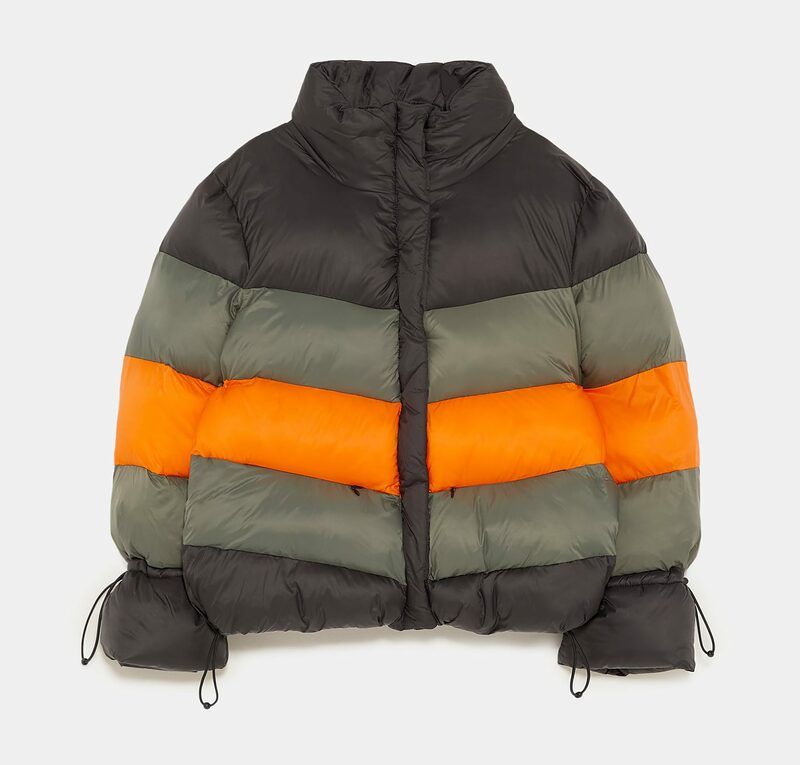 FRUK edits the best high street winter jackets of 2018. Browse our top picks of awesome women’s winter jackets to shop right now. This leather jacket is the definition of badass, we are in total awe of the simple yet intricate detailing of this Mango jacket. 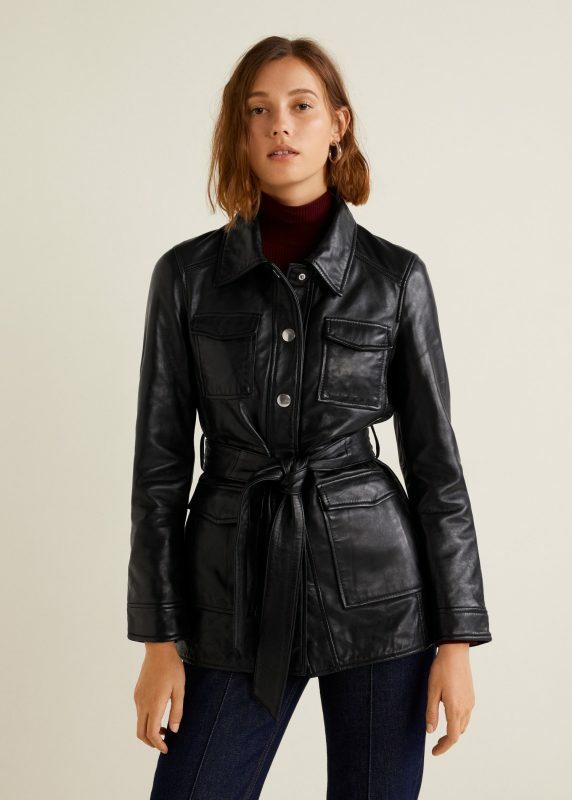 It is an exclusive piece, 100% leather featuring a classic collar, long sleeve, waist belt and four front pockets with flaps that just illuminate its beauty. 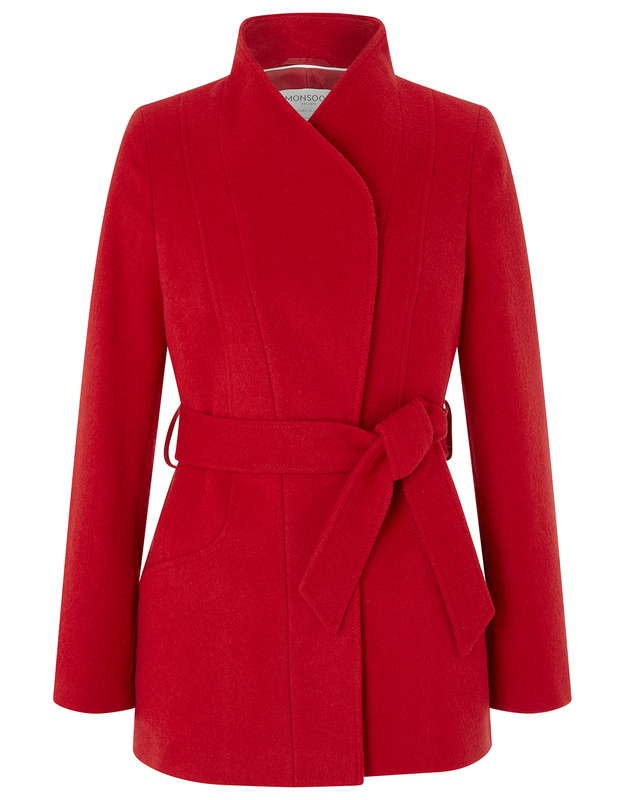 We are huge lovers of a good old teddy coat, and finding it in a red colour, is just icing on top. 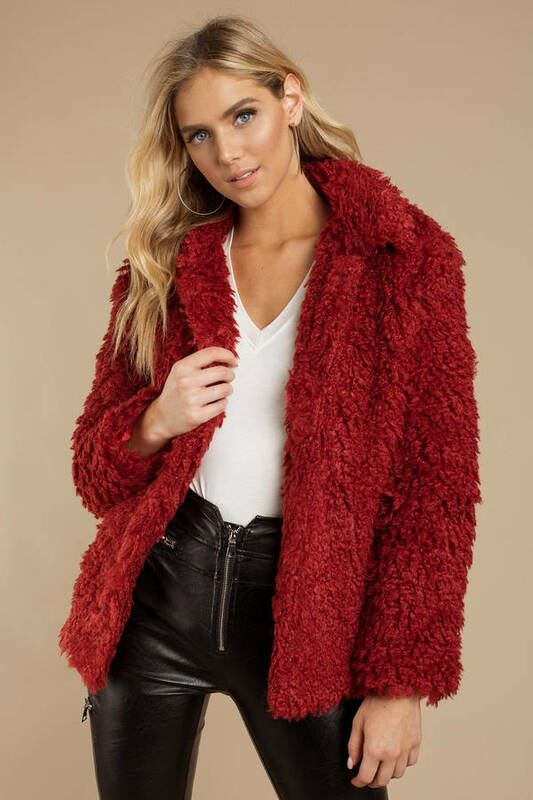 This faux teddy coat is outstanding in more ways than one, featuring an open front, large collar, captivating faux fur and an oversized fit. Pair this beauty with a nice silk dress or switch it up and use belt on the waist for a lovely chic look. Get free shipping and VAT and duties paid on all orders to the UK. Sunshine Soul is the new brand we are loving right now! 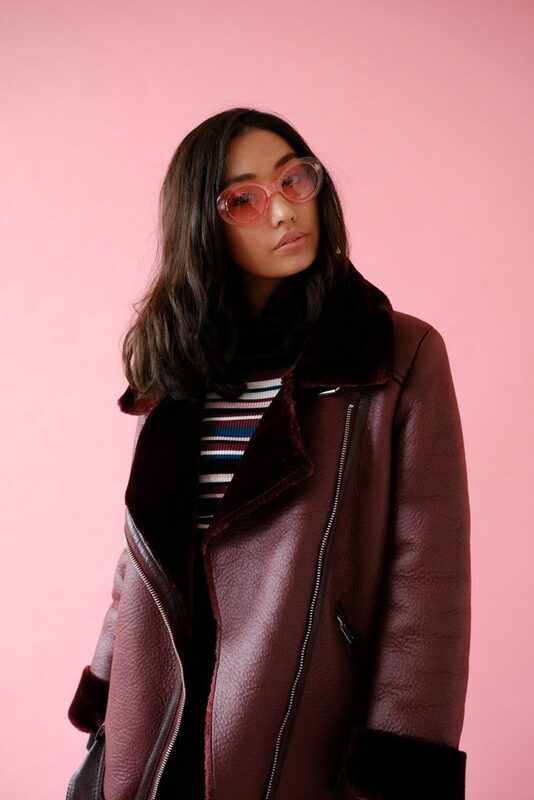 With aviator jackets fast becoming a wardrobe staple this season, this Burgundy aviator by Sunshine Soul is a shop right now piece. An absolute essential this winter season, it is lined with a super rich burgundy fur to keep those winter chills at bay while offering a premium feel and excellent warmth. 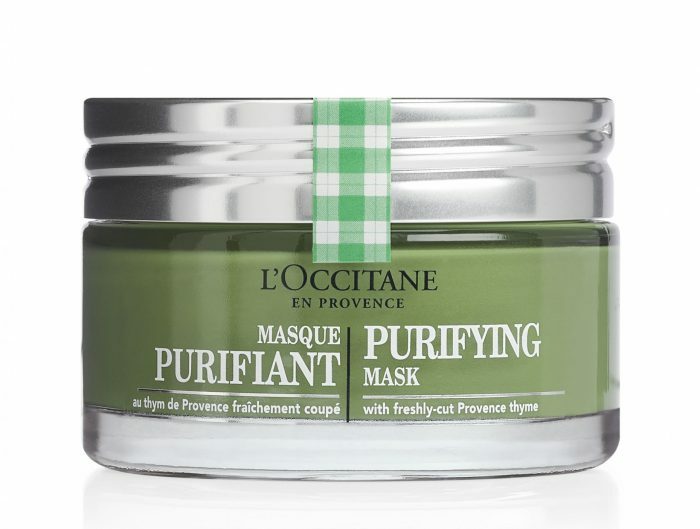 Pair perfectly with a skinny fit black pants and ankle boots. This is one puffer jacket that is sure to keep you warm and looking stylish this winter. With it’s high neck, long sleeves and adjustable cuffs, this baddie also features front pockets with invisible zips, a zip-up front and snap buttons hidden by a placket. The mixed pop of colour makes us love it very much. Are you into turning heads your way for the right reasons, then you are in luck. This Monsoon coat is a true elegant statement piece, crafted from Italian wool. Very eye catching and features a collarless silhouette, concealed button fastenings, side pockets and waist belt for a perfect fit. Over here at FRUK we are all about making statements and this camel cropped faux fur jacket is sure giving us all sorts of glamorous vibes. It is 100% polyester and a premium faux fur in a cropped style and camel hue. What’s there not to love! 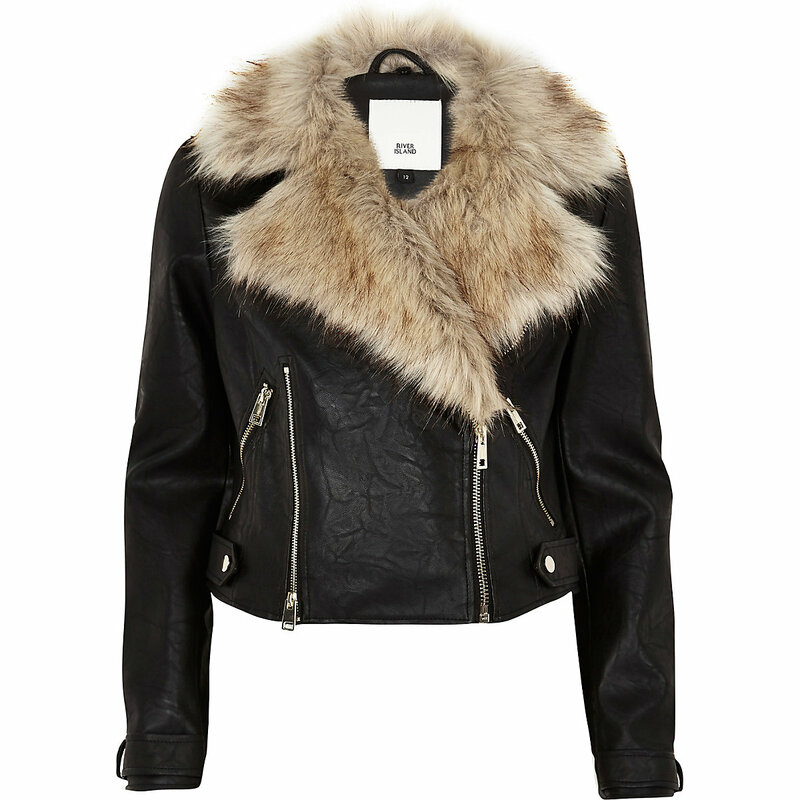 This leather fabric detachable faux fur trim biker jacket from River Island is just perfection. It has been carefully crafted, offering a quality mix of leather and fur.